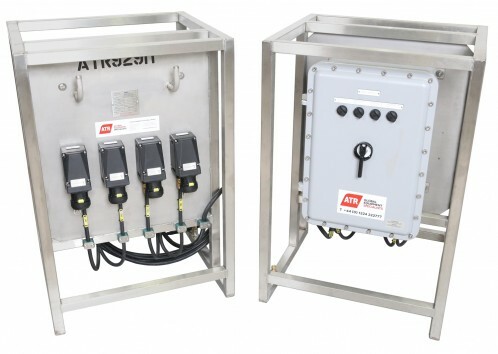 ATR Equipment Solutions is a specialist provider of zone rated equipment and tooling solutions to the worldwide oil and gas, marine, subsea and renewables industries. 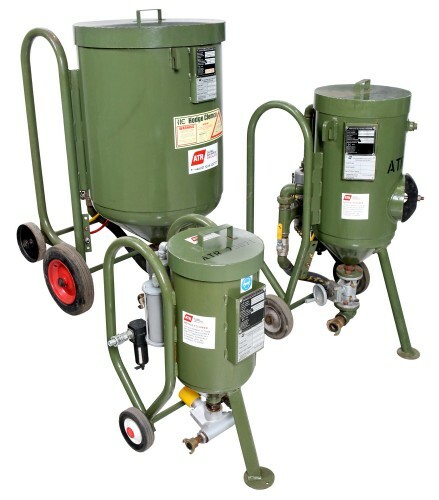 Our core rental product lines include EX rated lighting and heating, diesel and electric welding units, blast pots, spray pumps, air receivers, air and electric power tools, Wilden pumps, transformers, MDU’s, tower lights plus associated hoses and cables. We are distributors for Safety Tools Allmet, Hodge Clemco and HAVMeter products. Beyond our distributor stock we also stock a wide range of consumables and spares associated with our rental equipment. ATR Equipment Solutions can provide customers with a fully integrated service designed to support the needs of the major operators and service companies for production activities, fabric maintenance, lifting operations,marine and subsea operations. 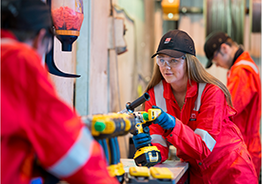 Tool operators across the UKCS are overestimating their time on tools (based on three years of historic data across a selection of installations) by around 80% on average per incidence of tool use – because they’re getting their timing wrong. 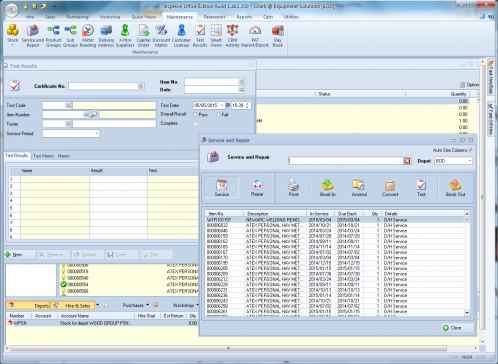 Tool operators, subcontractors, team leaders and HSEQ teams find it difficult to interact with paper-based systems – it’s time-consuming to maintain paper records, and often companies are just recording ‘guilty knowledge’. We deliver a fully managed HAVS monitoring and recording support to companies who are seriously seeking to improve HSEQ performance when it comes to managing HAV. We provide tactical, on-the-ground HAV monitoring and recording equipment, and support corporate policy by delivering the pertinent data you need to inform strategic decisions and measure performance against objectives. We help you to strip out cost, empower employees and deliver a foundation for long-term occupational health management with respect to HAV within the workforce. We carry a diverse range of quality equipment that underpins safe operations in hazardous working areas. Suited for deployment in zones 1 and 2, our specially-developed grinding, cutting and buffing solutions are complemented by a variety of ancillary kit and consumables. We are agents for safety tools allmet which supply customised kits cold cutting kits, which can eliminate time-consuming protection preparations, hot work permits or shutdowns – meaning safety and efficiency gains for you, resulting in reduced costs and improved ROI. We provide the full spectrum of surface preparation services: from blasting to painting, and featuring all consumable, safety and environmental protection elements. We use a tried-and-tested approach to help you define your blasting equipment requirements: by working with you to assess where you want to perform the work, and the precise scale and nature of the project, we ensure you’re equipped with the optimum solution for the job. For sale or hire, our portfolio encompasses blast pots, abrasives, paint spray equipment, abrasive recovery and safety equipment. Many of our product lines directly support your asset integrity strategy, and we underpin their deployment with a bespoke software system. Our tool management package allows you to outsource this important area of operational control. It provides an instant overview of your tooling assets; tracking tool history, current deployment and maintenance status – the full life cycle, at a glance. Our system is an assets register for your unique equipment fleet that contributes new efficiency to your front-line operations. Our range of power tools – for sale or hire – is as vast as the applications for which they can be used. Drills, grinders, wrenches, air saws and more: we are a single source for all kinds of quality power tools and associated consumables. We formulate them into customisable packages for your project-specific requirements and we carry out PAT and HAV testing on every piece of equipment to support safe, robust and user-friendly deployment. 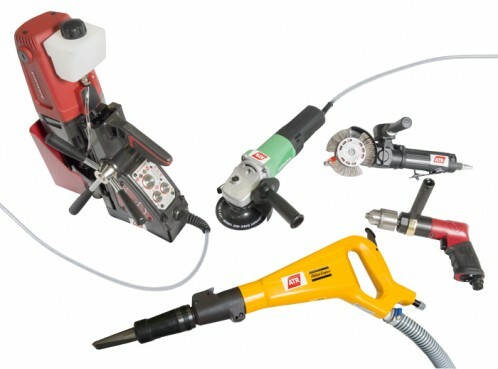 ATR are agents for Safety Tools Allmet, who supply air operated unique cold work surface preparation and cutting tools. Our hire fleet includes an extensive range of products which can eliminate time consuming protection preparations, hot work permits or even shutdowns - resulting in efficiency gains, reduced costs and health & safety benefits. All equipment follows ATEX guidelines and is suitable for safe use in Ex gas zones 1 & 2.